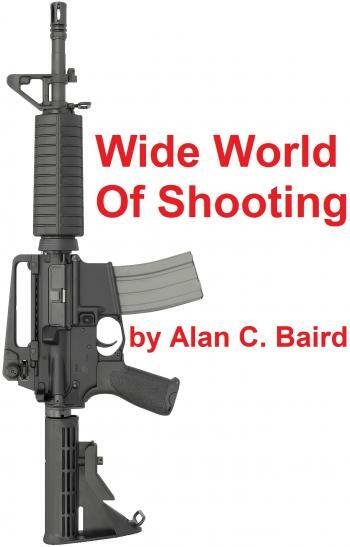 Script for Sale: Wide World of Shooting. This mass-shooting script is way too soon, and much too dark, but I think it captures some of the absurd humor in this situation. If we can have a reality-show president, why not turn our recurring national nightmare into a sports reality show? Dark satire. WARNING: NOT FOR THE SQUEAMISH. Mass shootings have been trivialized by many parties, from the NRA, which blocks all attempts to reduce the carnage, to lawmakers in the NRA's pocket, who refuse to pass sensible laws, to worshipers of the Second Amendment, which was enacted during an era when weapons designers could not even dream of a mentally-unbalanced gun owner wielding the destructive capability of a small army. In case you haven't noticed, flintlock muzzleloaders are not remotely equivalent to AR-15s with bump stocks and dual drum mags. The difference between firing four rounds per minute and 700 is pretty d*mn significant. So by satirizing the trivialization, this script tiptoes into very dangerous territory. It can be seen as having a callous disregard for human suffering, while also being perceived as an emotional attack on some very powerful and moneyed interests. You need to be well aware of these forces, if you decide to move this material into production. Did you get taken in by the Russian propaganda?